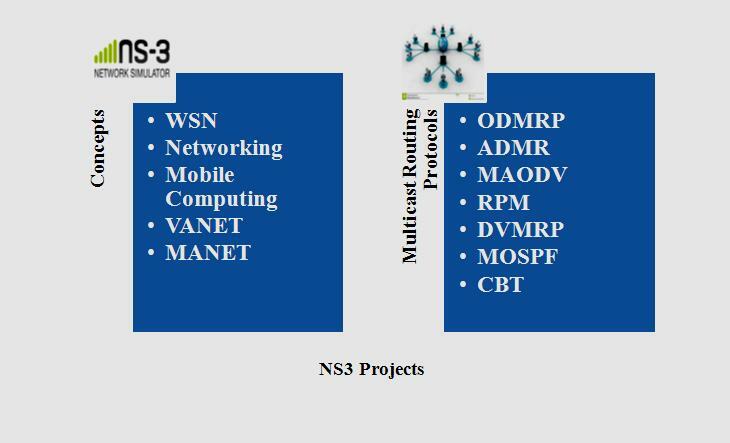 IEEE NS3 Projects(NS3 )is a type of network simulator which is used to design set of objectives for various cores of network application. We ensure NS3 as a simulation environment gives libraries and tools to design large area network. 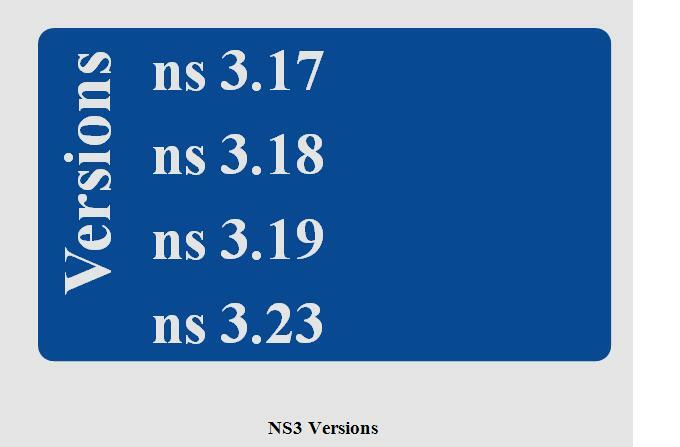 We offer IEEE NS3 projects which is useful for college students to carry over their projects. We support and develop IEEE based simulation projects for post graduate and undergraduate final year students. We design & develop multicast routing protocols by NS3 simulation tool. We analyzed NS3 modules by multicast protocol such as ODMRP and ADMR. We test location based module and location aware protocol are evaluated by NS3 simulator model. We developed more than 80 various applications in wireless network projects by NS3. We produce on demand multicast routing protocol with rich connectivity among multicast group members. We make mesh to ensure high data delivery ratio. We introduce forwarding concept in ODMRP to construct mesh & mobility prediction method. We send a joint message with data payload piggybacked from source node. Joint node create periodically flooded to entire network ensure on membership information. In a network every interest node will respond to join message. We make multicast paths bysender & share by other sender in network. We support ODMRP scheme with mobility prediction scheme to find most stable path among sender & receiver main purpose of join message flooding to refresh network. We use global positioning system (GPS) to get link expiration time among two connected nodes. Receiver send reply message to sender by having maximum link expiration time. Give shortest path to reduce delivery latency. Use mobility prediction scheme to reduce control overhead. Ensure effective forwarding group concept. We implement adaptive demand driven multicast routing and routing protocol in Adhoc network for multicasting purpose. It works as on demand sender tree based protocols which adapt behavior of data sending pattern. ADMR does not require periodic neighbor detection. Periodic routing table exchange and periodic flood control. We determine application layer behavior which permit efficient detection of link breaks and expire routing table exchanges in MS projects. We create multicast tree when group sender create multicast packet for first time. Every multicast packet composed of average packet arrival time from sender application layer. We use inter packet arrival time to predict next packet arrival time. When application layer does not create new packet then routing layer send keep alive packets to maintain multicast tree. We provide tree based routing protocol to defeat overhead & increase network efficiency. We generate & transmit multicast packets by optimized route. Mobility change adopted by ADMR. Application data sending pattern in ADMR to avoid periodic control message.